For the first time, scientists say they have grown human blood vessels from scratch in the lab that look and behave like the ones in our bodies. Scientists say, for the first time, they have grown human blood vessels from scratch in the lab that look and behave like the ones in our bodies. "The structure looks the same and the main genes which are expressed in our bodies and in these capillaries are very, very similar," said Josef Penninger, senior author of the new research published last week in the journal Nature. 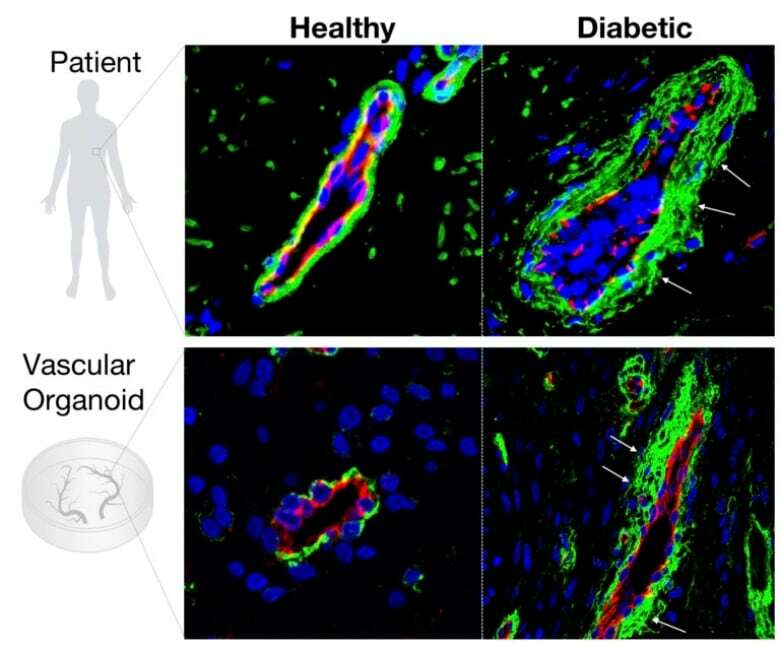 The artificially cultured blood vessel "organoids" or mini-organs are already starting to help scientists better understand some of the damage caused by diabetes, he and his colleagues report. In the future, they could be used to help researchers understand and develop treatments for other diseases such Alzheimer's, cancer and strokes, or transplanted into live humans to heal or replace damaged tissues, said Penninger. He recently joined the University of British Columbia as the Canada 150 Research Chair in Functional Genetics and the director of the university's Life Sciences Institute, but worked on the blood vessel project with colleagues at the Institute for Molecular Biotechnology of the Austrian Academy of Sciences, where he was the founding director. Penninger said that since the methodology for growing blood vessels in the lab has been published, "anybody now can do this." The lab-grown blood vessels behaved like normal human blood vessels when transplanted into mice, making it possible to do research previously impossible on diseases such as diabetes. When exposed to high blood sugar levels found in diabetes, human blood vessels get severely damaged. That can lead to problems such as blindness, heart disease, gangrene and slow healing in diabetics. That kind of damage doesn't happen to the blood vessels of diabetic mice, even though mice are often used to study diabetes. "Some aspects of disease are very specific to humans," Penninger said. However, when put inside mice, the lab-grown human blood vessels did become damaged by diabetes. That enabled researchers to figure out what causes the damage, Penninger said: "We can actually block this and we can totally prevent this change." That could, in the future, lead to possible drug treatments. That's one of the reasons scientists have been interested in lab-grown blood vessels. But they could also be useful for transplants to treat cardiovascular disease, to help tissues such as bones and cartilage heal more quickly or to supply blood to grow tissues and even organs outside the body. Researchers were able to grow the blood vessels in a dish by studying how they develop in human embryos, and mimicking the process with stem cells in the lab. Figuring out the exact recipe took lead researcher Reiner Wimmer about three years, Penninger said. But once he had it, he could get the stem cells to turn into different cell types and assemble themselves into a complex tube with layers of different kinds of cells — just like real blood vessels. In the lab, they could grow a bundle of small blood vessels called capillaries a couple of millimetres in diameter. "To our amazement," Penninger said, researchers found they could scale up by transplanting the bundle into a mouse — there the blood vessels grew and expanded to include bigger arteries and veins and connected themselves to the mouse's blood supply. Some of them worked inside the mice for six months — a long time in an animal with a lifespan of about two years. Penninger said researchers hope to be able to grow bigger blood vessels in a dish too, but right now it's only possible inside mice. In a news release, researchers described the blood vessels as "perfect" human blood vessels because their structure and cells so closely resembled blood vessels found in humans. "It's not 100 per cent faithful to what we see in our body, obviously," Penninger said, "but coming very close." One thing researchers want to try now is transplanting the lab grown blood vessels into different parts of the mouse's body (they started with the kidney) and seeing what happens. They've also started cultivating lab-grown blood vessels from the cells of patients with a genetic blood vessel disease called cadasil, in the hopes of figuring out how it causes heart attacks and strokes when they're in only their 40s. Scientists have been using stem cells to grow mini-organs called "organoids" that resemble body parts ranging from the brain to the pancreas for the past few decades. 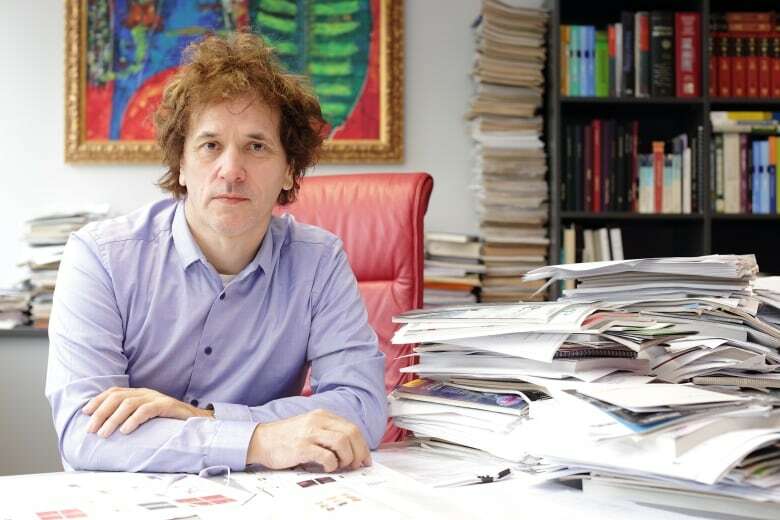 But up until now most have contained only one cell type, Penninger said: "What we actually need now is next generation of organoids which have multiple cell types." That's what the new blood vessel organoids represent, he said. "I think that's actually very cool." 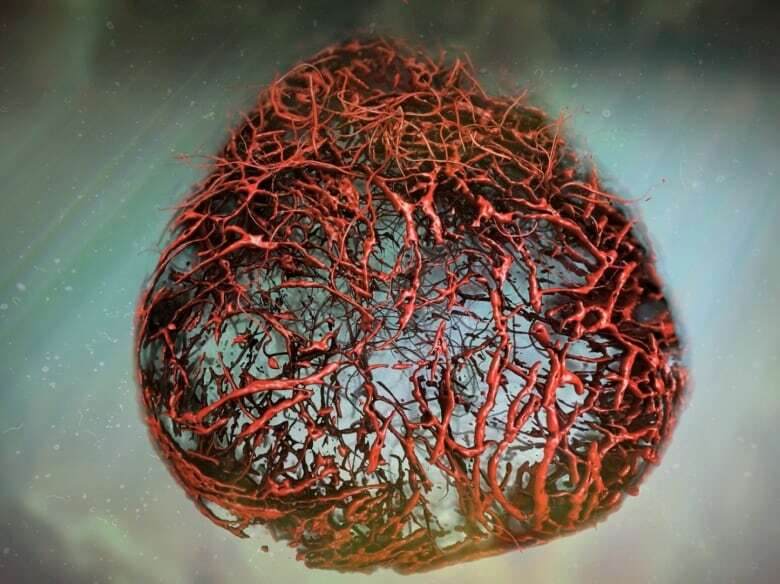 Rakesh Jain, a professor of tumour biology at Massachusetts General Hospital and Harvard Medical School in Cambridge, Mass., was not involved in the study, but has himself done research on human blood vessel organoids grown from stem cells. In that earlier study, the cells were grown in a dish for just a day and didn't develop into blood vessels until after being implanted into mice. In the email, Jain called the new study an "important contribution" and said the results were interesting. But he said the experiment mimicked Type 1 diabetes, and in the future, it would be interesting to use stem cells from someone with the more common, Type 2 diabetes. Jeff Karp, professor of medicine at Brighan and Women's Hospital and Harvard Medical School, does research on stem cells and tissue and organoid engineering but was also not involved in the new study. He said researchers have been developing lab-made versions of human blood vessels for a long time to study blood vessel biology and for use in tissue engineering. The "big advance" in this study, he said in an email, is that the authors actually show how it can be used to study a disease, such as diabetes, in this case, where blood vessels are damaged, and learn something new and useful — they uncovered the protein that does the damage and found a new way to block it to prevent the damage. He thinks it could also be applied to research on cardiovascular disease, cancer and wound healing, and could lead to new treatments. "I think developing technologies is easy. Showing relevance to human health is often quite difficult," he added. "This group has [done that], which makes it big." An earlier version of this story incorrectly referred to the stem cells as embryonic. In fact, this type of stem cell is derived from adults. Will 3D printers, bioprinters change the future of surgery?